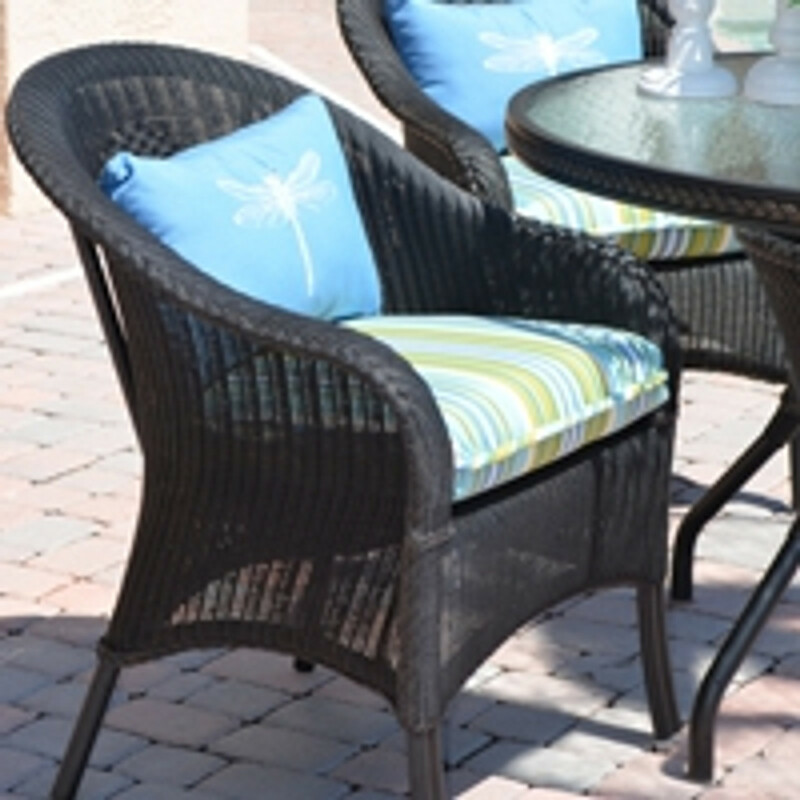 This fine wicker is woven over all-aluminum, fully welded frames that will not rust. It includes vertical 12 strand stainless steel cables embedded in the wicker for incredible strength that will not wear out over time. The weather resistant finish combined with the tight weave creates a "snag free" wicker set that is smooth to the touch and sure to impress! Loomed wicker furniture should last a long time and with proper maintenance, even longer! Here are some of the basic things that can keep your furniture looking like new. If you notice soiling or a spill, it is best to remove it right away. Large debris (like leaves) should be picked up by hand. Light soiling and dirt can often be removed by rinsing the product with fresh water and brushing it with a soft-bristle brush. Spot wash the fabric to clean spills by using a sponge or a soft bristle brush with a warm soapy solution of mild detergent (dish washing soap works well). Brush or sponge the soiled area and rinse thoroughly with fresh water. Allow the cushion to air dry and repeat as necessary. DO NOT MACHINE WASH OR MACHINE DRY THE CUSHION CASINGS/COVERS. DOING SO MAY DAMAGES THE SEAMS OF THE CASE OR EVEN SHRINK THEM, MAKING IT IMPOSSIBLE TO RESTUFF WITH THE CUSHION CORE!